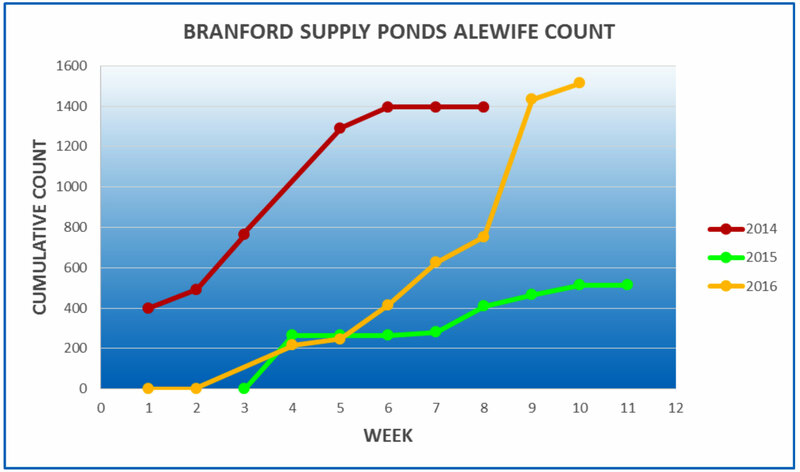 After last weeks’ impressive run of alewives, the count took a bit of a nosedive this week – only 81 fish were counted going up the fishway. DEEP reports that in Connecticut’s tributaries all river herring are now blueback herring. So we may well be witnessing the end of this year’s run. 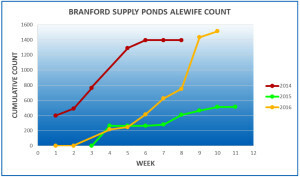 However, the weather has been pretty warm the past few days, and this may spur additional fish into the Supply Ponds.